Fermenting is a great and tasty way to get some healthy and yummy probiotics in you! When fermenting your vegetables, fruits or condiments, you probably use just salt, and maybe some spices for flavor. That is great and I’m sure it makes some tasty fermented veggies! Salt helps promote fermentation by inhibiting the growth of many microorganisms that would otherwise spoil your vegetables, while at the same time favoring the growth of a certain bacteria called Lactobacilli. Salt allows only the desired salt-tolerant Lactobacilli strains that naturally exist in the vegetables to do the fermenting. 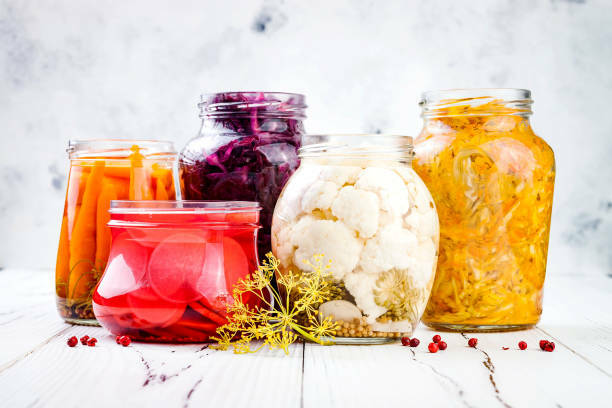 The lactobacilli strains are lactic bacteria that produce lactic acid and it is that lactic acid that gives ferments a sour taste – much like vinegar – and acts as a preservative for your fermented vegetables. Lacto-fermentation is the process by which lactic acid forming bacteria metabolize the sugars in foods and convert them to lactic acid. These bacterial strains were first isolated in milk, hence their name, yet while many of the bacterial strains are found in milk and in cultured dairy products, lactobacillus aren’t exclusively found in milk; rather, this type of bacteria is present nearly everywhere. Lactic acid bacteria are present in soil, and therefore found in anything that grows in it. So you don’t really need to add any lactic acid bacteria to your vegetables in order to ferment them, as the lactobacilli are already in them. 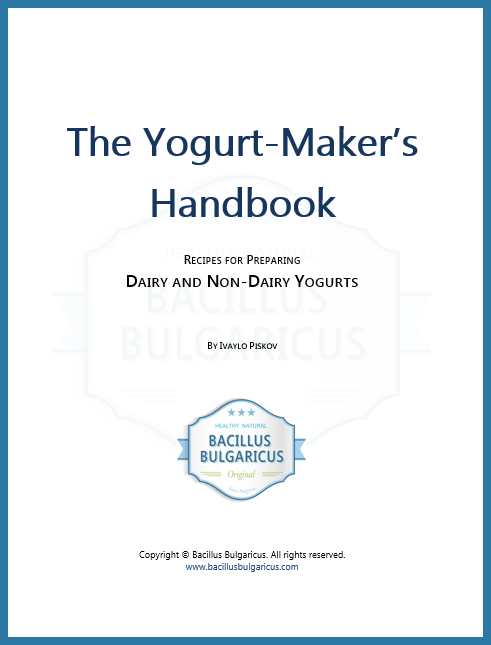 Try adding some of the Bacillus Bulgaricus yogurt or kefir starter to your fermenting vegetables! No, this is not unheard of. It’s actually pretty ok to do it. And makes a lot of sense. The starters contain various strains of lactic acid bacteria, and by adding some to your fermenting veggies, they will not only get things going quicker but will also contribute to the richness of the taste of your fermented vegetables, fruits or condiments. While adding starter to ferment is not necessary, and many fermented foods can be successfully fermented through wild fermentation (the absence of a starter culture) it is often beneficial to have one added to the mix anyway. Some foods that would really benefit are those that are only fermented for a short duration, such as condiments or high-sugar fruits. When you’re fermenting for a short period of time, the addition of a starter culture helps to kick-start the process and produce great reliable results. For homemade fermented condiments, like ketchup or mustard, they tend to achieve maximum flavor after only a few days of fermentation so speeding up fermentation is crucial. Furthermore, as they are pastes, it is difficult to keep them submerged in brine and therefore it leaves them exposed to oxygen, and prone to contamination by mold. By inoculating them with a starter culture, you can shorten the fermentation time and, in doing so, reduce the likelihood of mold contamination (using proper equipment also helps). High-sugar fruits, with extended fermentation, are prone to turning alcoholic. If that’s not what you’re looking for, and are, instead hoping to create a light sauce, condiment, chutney or relish, shortening the fermentation time by using a starter culture can help you to achieve a result that’s lively and rich in beneficial bacteria, but not alcoholic. So, if you haven’t tried it yet, next time when you ferment your fruits or veggies, add some yogurt or kefir starter to the mix. Then compare the results to the ones you get when fermenting without a starter. I’m sure you’ll be pleasantly surprised! How much starter to use? Use 1/4 a teaspoon of starter for 1-4 liters of water/brine. You can also use whey from your home-made yogurt! If whey turned up when you made your yogurt, then save it and add it to your fermenting jar. Whey is rich in live lactic acid bacteria and works as good as adding the freeze-dried starter.